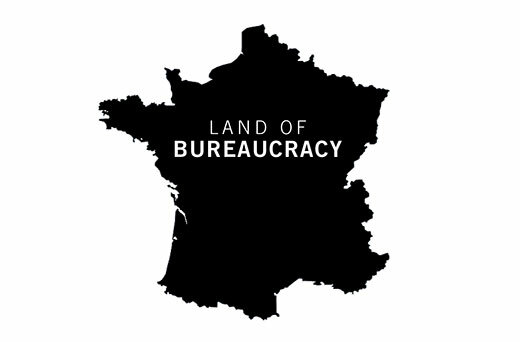 Wednesday afternoon, as I ambled back home from the downtown centre of Rennes from yet another visit to the Centre de Mobilité Internationale, I was contemplating what I could discuss next on my blog. I’ve made brief mentions in past posts regarding how my circumstances were affected by my status or because of visa issues, but haven’t really gone into many details. Though this visit was not a frustrating one in the slightest (in fact, I was surprised by how smooth it went and how awesome the employees were), I realized that the time may have come to discuss the long and winding road it has been to obtain my visa… which is still M.I.A. Now, to clarify, when I refer to visa, I typically mean my “carte de séjour”, and not the visa that I applied for pre-departure that is currently stuck (and expired) inside my passport. 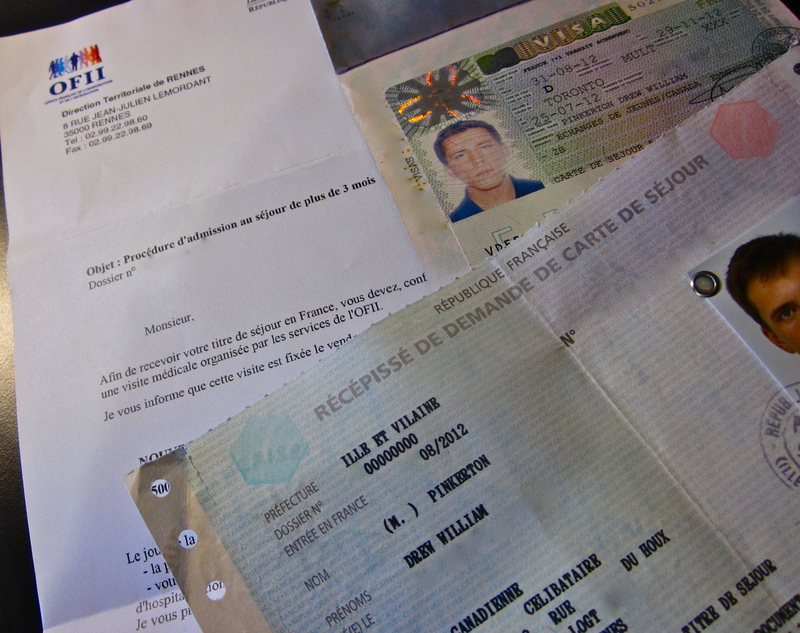 The carte de séjour is more permanent and allows me to stay a year, like many visas, but is also more easily renewable. This means that if I decided to stay longer and continue going to school in France, I would not have to return to Canada first and re-apply from there. I began the process in September by collecting the stack of necessary documents and waiting for money to be transferred from Canada to my French bank account to prove I would be financially secure throughout the year. By the time everything had come together, I made my first visit to the CMI. After sorting through all the documents with an employee, I was informed I would receive a récépissé (receipt) of my request for a carte de séjour in several weeks. Fortunately, it was available in December and I was able to pick it up before going on holidays. Unfortunately, as I was informed at the Centre, the expiration of my initial visa meant that, even with the récépissé, I would not be legally authorized to leave France (except back to Canada). My original and now expired passport visa, my récépissé, and the miraculous invitation to have a medical visit! At first, I thought, ‘No problem. France is in the Schengen Zone. No borders, no big deal.’ Then, I was gently informed that I could not leave France, not even into other Schengen countries, and that even if I tried, sometimes there are random border checks, though they are rare. And so, the wait began. 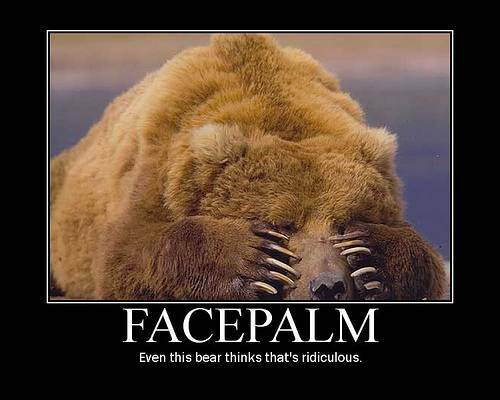 The wait to hear from the police prefecture regarding notice that my appointment for a medical visit (the last step!) was fixed. Time went by with no notice until finally, after the expiration of my récépissé at the end of February, I received a letter confirming an appointment made for the 22 of March. More documents were required, as expected, however this did not shake my enthusiastic response to finally knowing that this process is coming to an end. That clip is from l’Auberge Espagnole (link to English trailer), a film about a French student who parts on an Erasmus exchange to Barcelona. An absolute must-see film for any student considering international exchanges or internships. I went back to the CMI on Wednesday to get a renewal of my récépissé. Even though I’m not intending to travel before my medical visit, I still believe it’s a good idea to have valid documentation just in case. The renewal was a breeze, only requiring a copy of my now-expired récépissé and a photograph. About to leave, I casually asked how long it might take to receive my carte de séjour following my medical visit. The response I was given? Oh, several weeks to a month. And that’s when it hit me. I probably wouldn’t be getting this final, liberating piece of identification that proved my right to be living in France until a whopping ~2 months before I was supposed to be going home. Le sigh. This entry was posted in Life on Exchange and tagged culture, Exchange, france, Life, long read, Rennes, Student Life, study abroad, Travels. Bookmark the permalink.